Fimbel Garage Doors is devoted to continuing the 95 year legacy of durability, quality, and elegant style. We will work with you to build your vision and help guide you through our products until you are confident that every aspect is suitable for your home. You can depend on us for timely installation and sheer professionalism, every time. We offer a wide selection of various garage door styles in an assortment of colors, sizes, and materials with your taste and budget in mind. We understand the importance of durability and strength, which is why our doors have matched performance with exquisite design. Browse through timeless raised-panel designs, elegant carriage house doors, and other architecturally stunning garage doors to find the perfect style to complement your home. 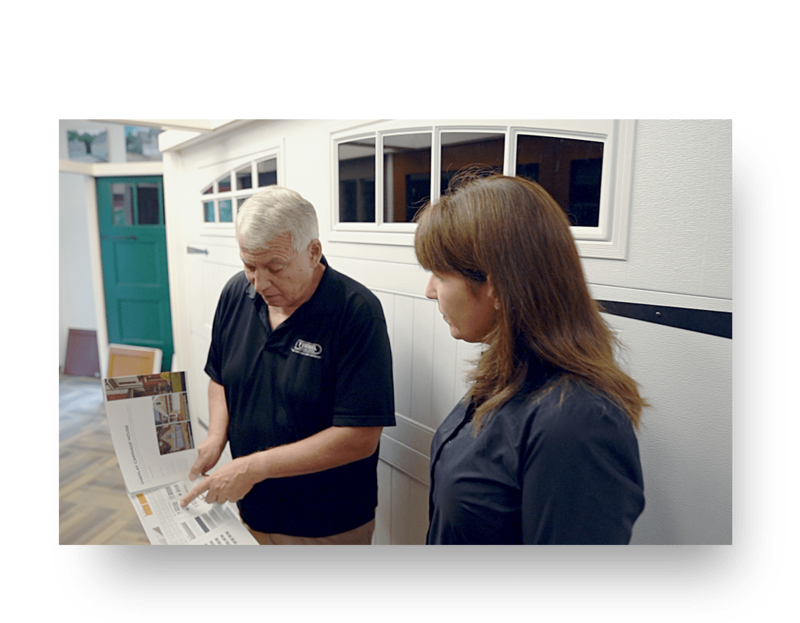 Choosing the right material for your garage doors is an impactful decision as materials will vary based on design, preferred maintenance, and affordability. Consider vinyl, steel, fiberglass, or wood doors with insulated or non-insulated options. Our garage door experts will help you find the most suitable material for you and your needs. We stock the garage doors from the best names in the business such as C.H.I., Amarr, Artisan, and Fimbel Architectural Doors (F.A.D.s). Find the right garage door for your home, budget, and taste. We feature a wide selection of garage door openers to cater to the needs of our customers based on conveniency. From smartphone connectivity to automatic timers, our technologically advanced openers will make opening your garage doors a breeze. Introduce convenience and security to your life with an additional garage door remote for the other car. Or maybe give the kids secure access to the house with a remote keypad. Whatever your garage door needs may be, the experts at Fimbel will source the solution.